OxStem Co-Founder, Director and Waynflete Professor of Chemistry at the University of Oxford, Professor Steve Davies, said: “On behalf of the Board, Founders and management team, we warmly welcome Dr Stuart Collinson to OxStem and I thank the team at Coulter Partners for their outstanding professional support in achieving this appointment. 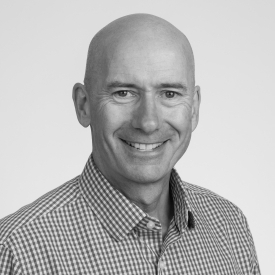 Stuart is a highly experienced international business leader who brings significant fundraising, product development, partnering and commercialisation experience. We look forward to working with him to develop transformative medicines for patients suffering from severe degenerative diseases." Join our team at BioTrinity 2019 in London. 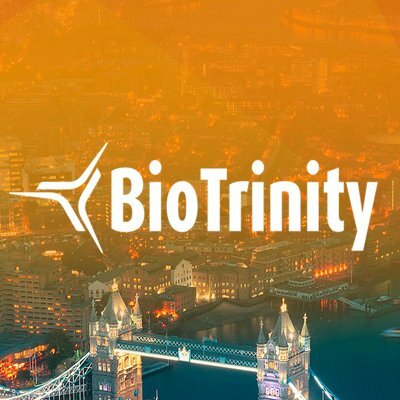 BioTrinity offers unique access to investors, big pharma executives and innovative CEO's of emerging R&D companies seeking to strike deals and grow their networks. 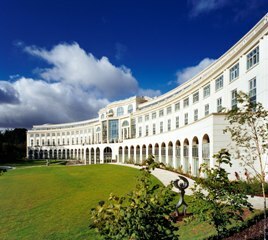 Join us again at the Digital Health World Congress in London in May. Themes include Digital Health, E-health and AI enabled Healthcare Technology. Join our team in Barcelona in May for Bio€quity Europe, the industry event for financial dealmakers looking for investor-validated life science companies positioning themselves to attract capital, and for pharmaceutical licensing professionals to assess top prospects. As a member of the Association of Executive Search and Leadership Consultants, Coulter Partners is proud to commit to a Code of Professional Practice. This video explains the value the AESC brings to our profession. Coulter Partners was very pleased to partner with ArunA Bio, a leader in the development of exosomes for the treatment of CNS and neurodegenerative disorders, to secure the appointment of Mark Sirgo, Pharm.D. as Chief Executive Officer. Dr. Sirgo joins the company with more than 35 years of pharmaceutical industry experience and is most recognized for building the fully integrated pharmaceutical company, BioDelivery Sciences International (Nasdaq: BDSI). Coulter Partners was very pleased to partner once again with innovative drug enabling nanotechnology company, Nanoform to secure the appointment of Dr Gonçalo Rebelo de Andrade as Chief of Business Operations. The newly created role will significantly strengthen Nanoform’s commercial organisation and continue its rapid growth through international sales. Coulter Partners was delighted to partner with Helsinki-based drug particle engineering and nanotechnology company, Nanoform to secure the appointment of Christian Jones as Chief Commercial Officer. The newly created role is imperative for developing a commercial strategy to catapult Nanoform’s novel nanonization technology into the global pharmaceutical marketplace. 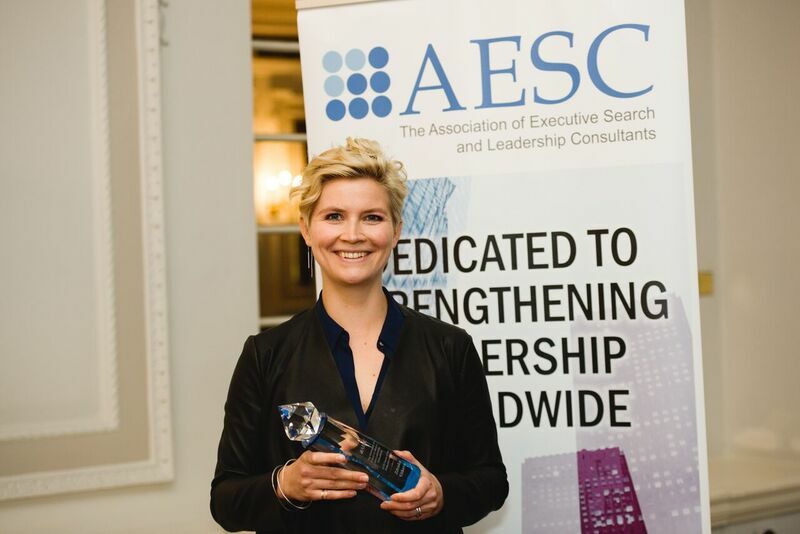 Coulter Partners is delighted to announce that Senior Consultant, Zdenka Vitkova has been honoured with the AESC Future of the Profession Award. 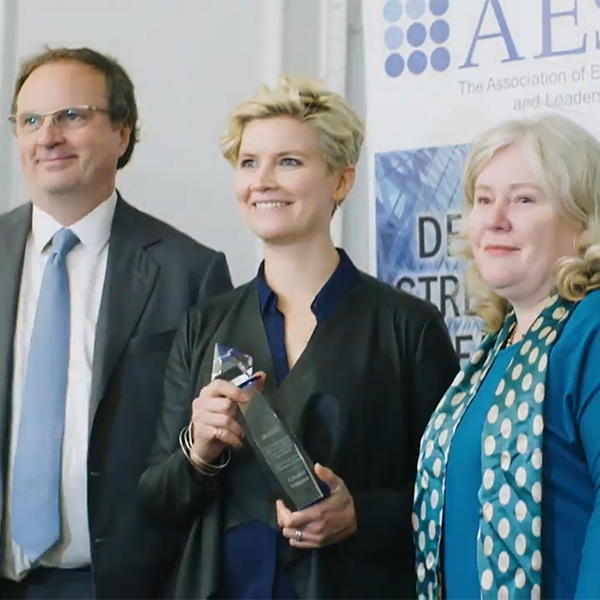 Designed to engage the next generation of leaders in executive search and leadership consulting, this prestigious award honours innovation and leadership and applies to professionals earlier in their career. "We are thrilled to have both Rich and Ernie as part of Pivot Bio’s leadership team and thank the team at Coulter Partners for their support in achieving these key appointments," said Karsten Temme, Chief Executive Officer. 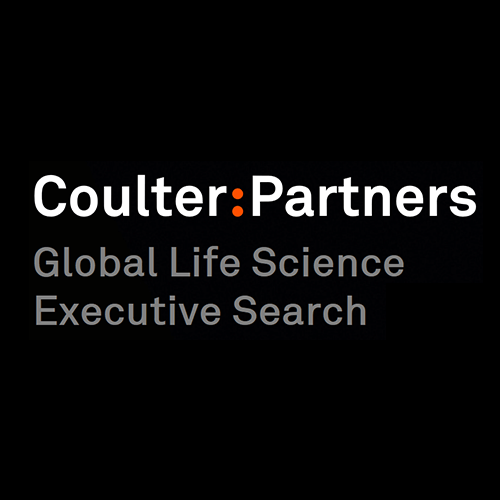 Coulter Partners ranked #2 again by Executive Grapevine in their annual Executive Search Market Share Rankings - Pharmaceuticals and Life Sciences. 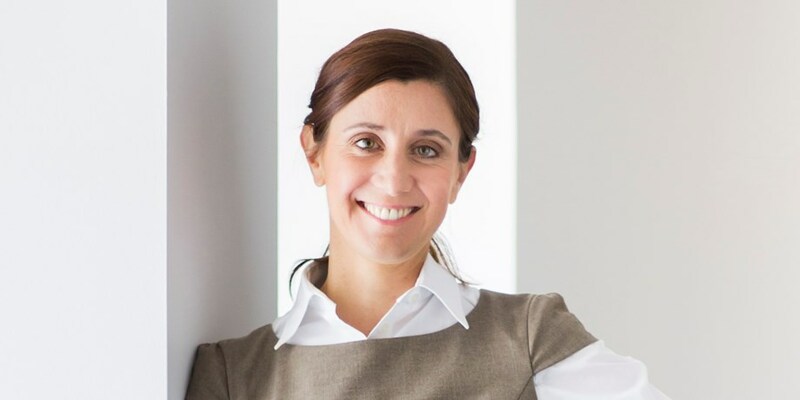 Kavitha Iyer Rodrigues, CEO of Zumutor Biologics, says: “I welcome Ramon warmly to the team and thank Coulter Partners for their outstanding work in achieving this high-calibre appointment." 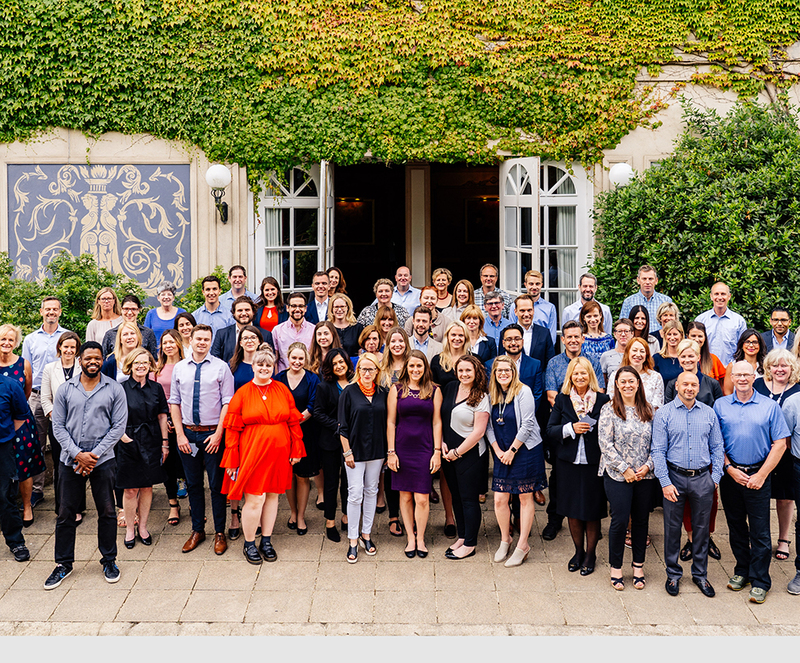 Coulter Partners brought the whole global team together in June at Down Hall, Hatfield Forest in the deepest English countryside. A talented and diverse team of 75 from many corners of the world met together for a packed programme of workshops, strategy meetings, presentations and keynote speeches. Futurist visions, passionate values, strength in diversity - these were just some of the themes touched on in the leafy glades - and the hard work was punctuated by rounders, football tournaments and intercontinental pub quizzes, as the evenings drew in. Coulter Partners was very pleased to partner with Biogazelle, specialists in liquid biopsies and non-coding RNA, to secure the appointment of Armin Winands as its new Chief Executive Officer. "We are very pleased that Dr. Gerrit Hauck has assumed the role of Chief Technology Officer at Basilea and thank the team at Coulter Partners for their outstanding professional work in helping us to achieve this appointment. Dr. Hauck has over 24 years of experience in various technical operations and management functions at Sanofi and its predecessor companies, which involved formulation development, plant management and global CMC leadership. 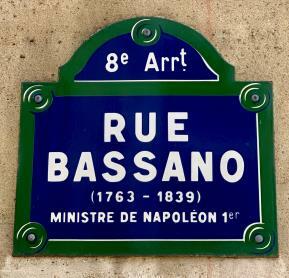 He has demonstrated his ability to manage contract manufacturing organizations and to successfully develop alliances and collaborations with external partners." - David Veitch - CEO, Basilea Pharmaceutica International Ltd. Global Life Sciences search specialist, Coulter Partners is pleased to announce eight new appointments in the US, Denmark and at their London headquarters, following an extremely successful year which has seen sales grow by 20%. All the new team will be globally engaged and based in the following locations: In the US, Noah Parekh joins as Client Partner in Cambridge, MA, while Lisa Pieper, MD, MBA is appointed Consulting Partner in Palo Alto and Adrienne Slutzky joins as Project Co-ordinator in New Jersey. In London, new team additions include Quentin Oerlemans as Senior Consultant, Dr Pat Mileham as Senior Production Associate, and Agata Grzeszczuk and Kerry Hillier as Production Associates. In Copenhagen, Charlotte Visholm joins as Production Associate.